Team 2much is an organization centered to raise awareness about illnesses that affect people worldwide. Each year, these individuals dedicate their efforts to campaign for a different cause centered around, though not limited to, assisting children and adolescents. Team 2much accomplishes these goals through hosting fundraisers, auctions, selling merchandise and racing. This year, Team 2Much has chosen to raise awareness about Leukemia. They hope to exceed the last campaign and reach thousands of those who are in the fight against leukemia, with their new desire to maximize their audience and seek support through all avenues and new approaches. 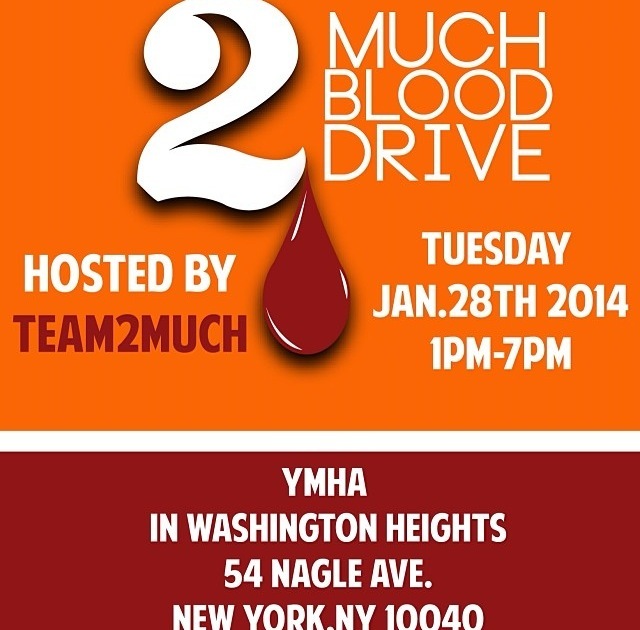 Team2Much’s first endeavor for 2014…the 2MUCH Blood Drive. Support and make a difference. Change starts with you. The French-American Chamber of Commerce is Hiring RAW NYC is Looking for Artists (Visual/Photo/Makeup/Hair/Fashion/Accessory) for Its Upcoming Showcase!